AirRouter is end of life (EOL). Ubiquiti recommends ACB-AC for functional replacement. 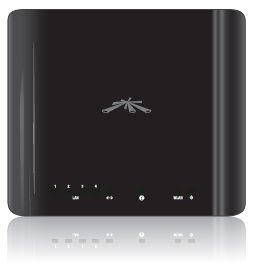 Introducing AirRouter, Ubiquiti's first indoor commercial WiFi Router featuring powerful airOS™ features. Capable of connecting over 100 meters away at 150 Mbps speeds.